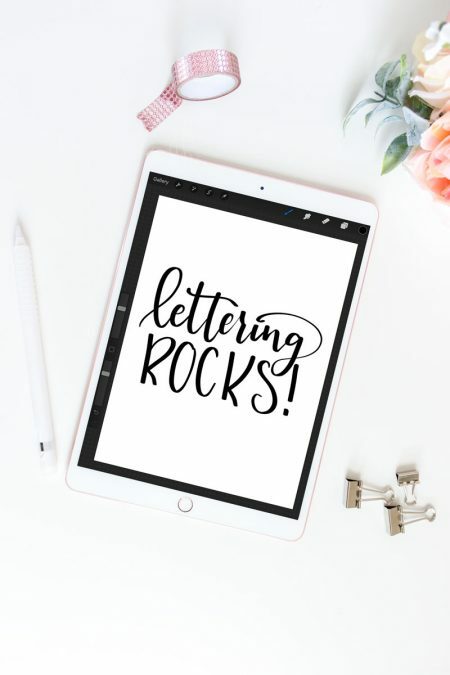 If you use the Procreate app for lettering and doodles, then you are one step closer to learning how to turn Procreate lettering into SVG cut files to use with a Silhouette, Cricut or other machine. I’ve been using Procreate on my iPad for well over a year now to create digital letterings and sometimes doodles. 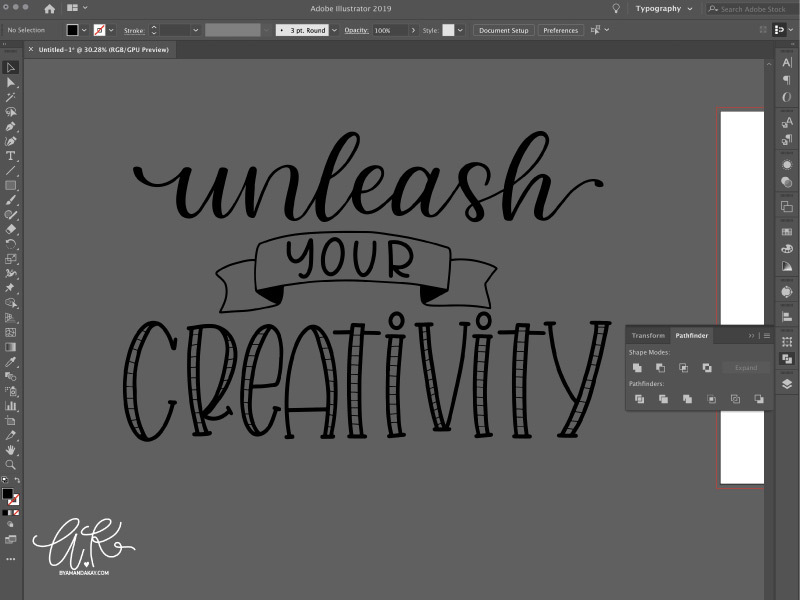 I love how I can easily share, save and convert my work into multiple types of files, without the extra work that comes with digitizing hand lettering. 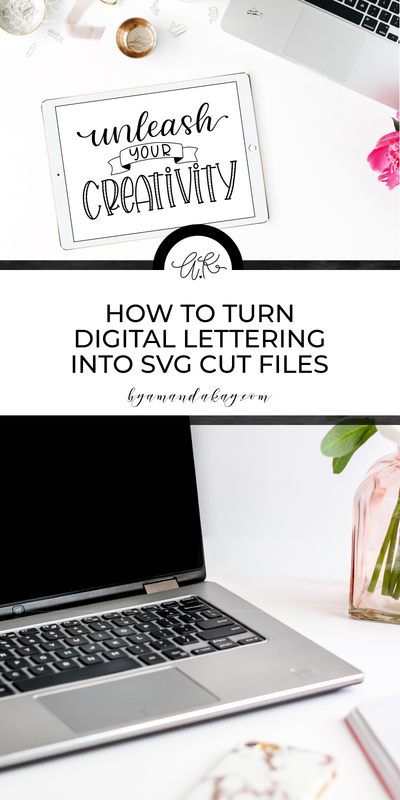 Creating custom SVG cut files to use with a Silhouette, Cricut or other vinyl cutting machine from your own digital lettering is actually easier than it sounds. 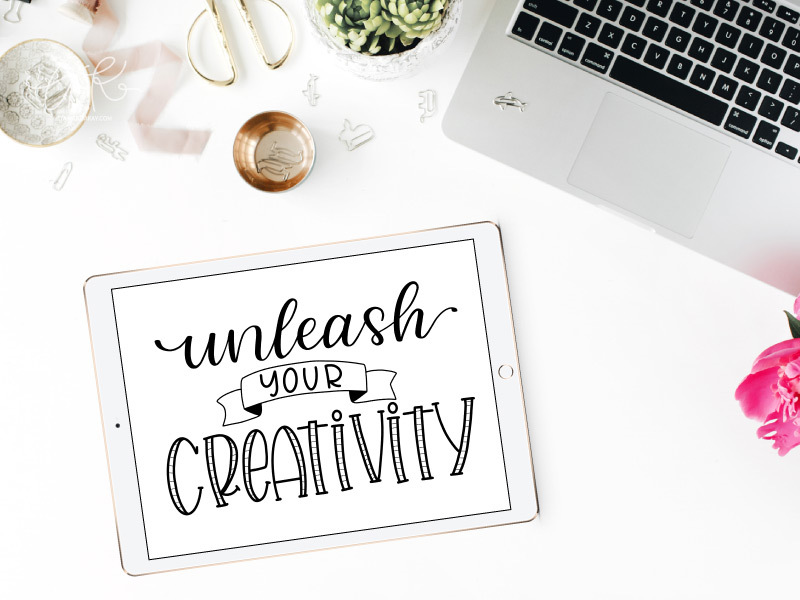 You do need to have Adobe Illustrator for this tutorial, but if you are wanting to create custom SVGs for you or to sell, then it’s definitely worth the purchase! 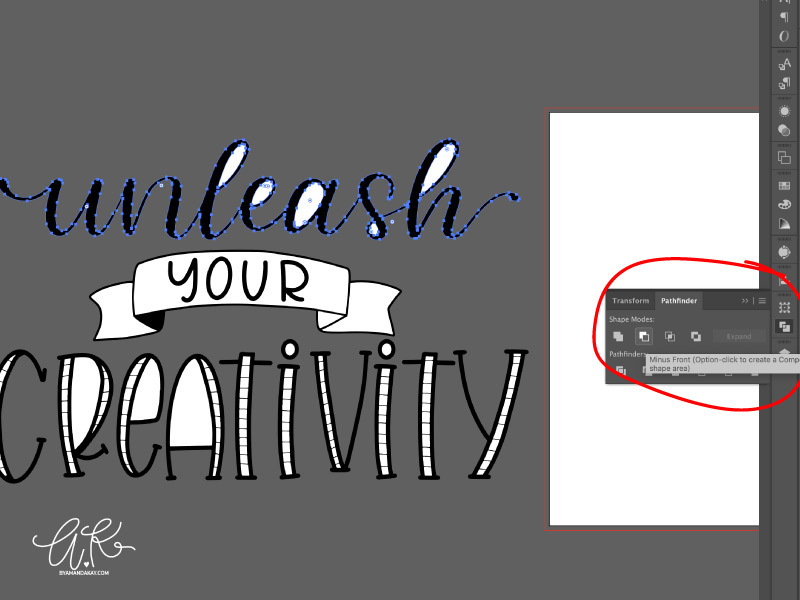 The instructions are similar to this tutorial, but since you are starting with a digital file already, you get to skip all of those photo editing steps. Win! 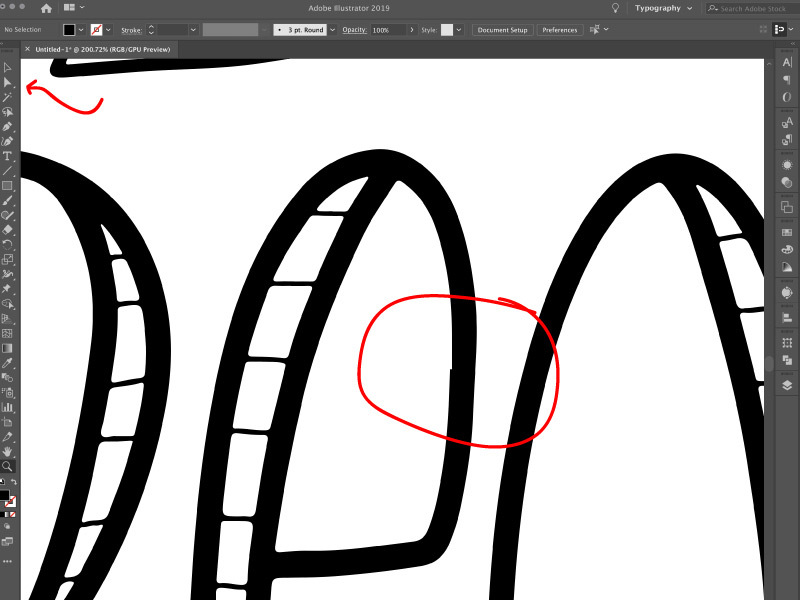 It’s important to note that before sharing your Procreate file to your computer that you should clean up your lines as much as possible. This will save you time when it comes to manipulating the points and paths later on in the tutorial. Start by opening up a new document, setting the dimensions however big you would like the SVG to be. I set mine for this tutorial at 10″wide by 8″ tall. 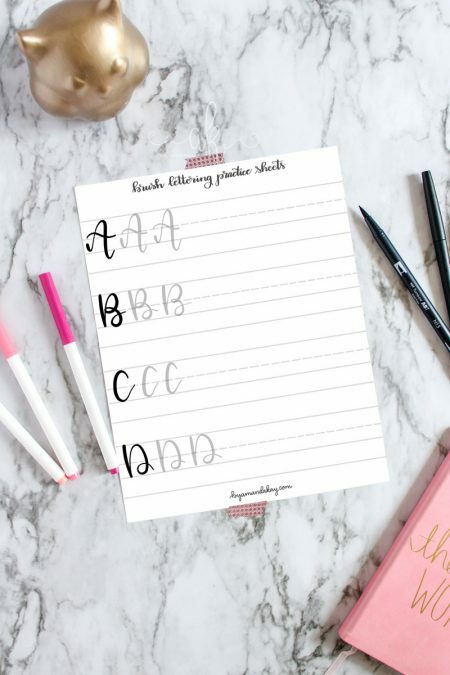 Then drag and drop your lettering file onto the whiteboard. Resize it to fit. 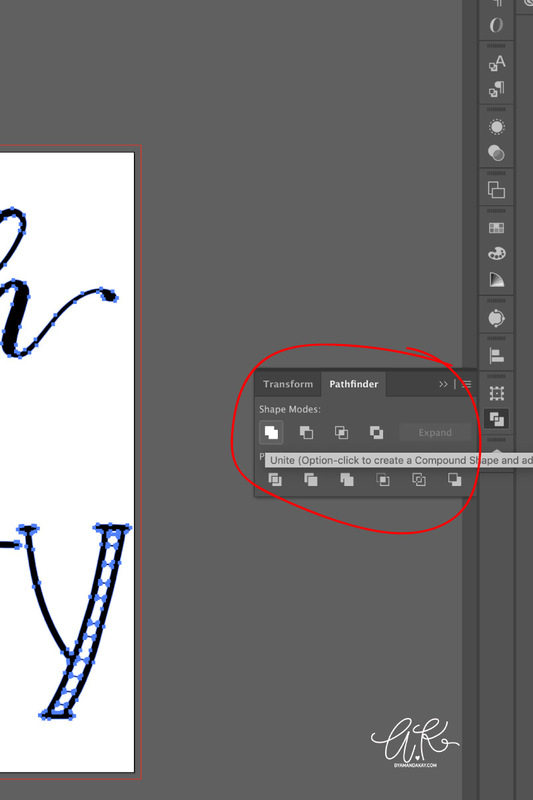 Next, use the Image Trace command to create paths for your lettering image. I usually start with the default settings, and then play around with the threshold, paths, and corners settings until I feel that it looks right. Here’s a look at my settings for this particular piece. 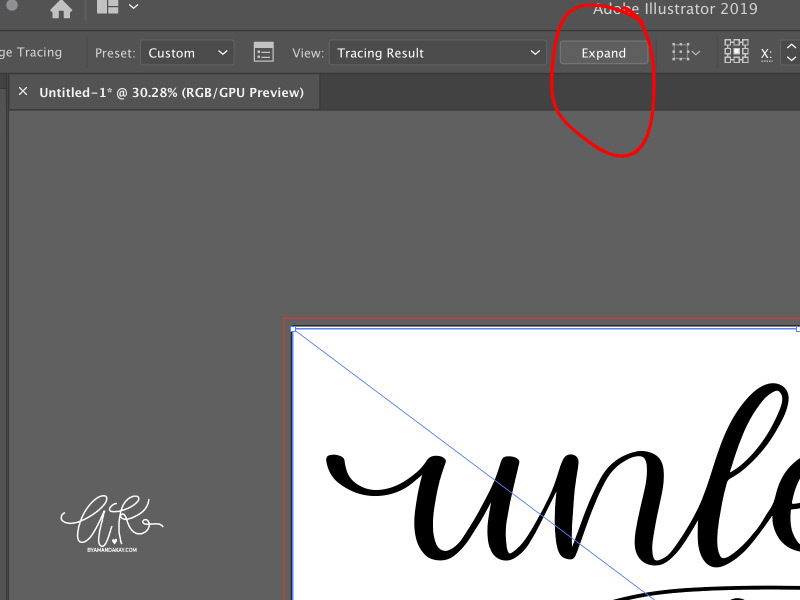 Once everything looks the way you want, click on “Expand” along the top toolbar. Now you need to get rid of all of those white interior spaces. Select each individual element and use the Pathfinder tool, Minus Front, to get rid of them. 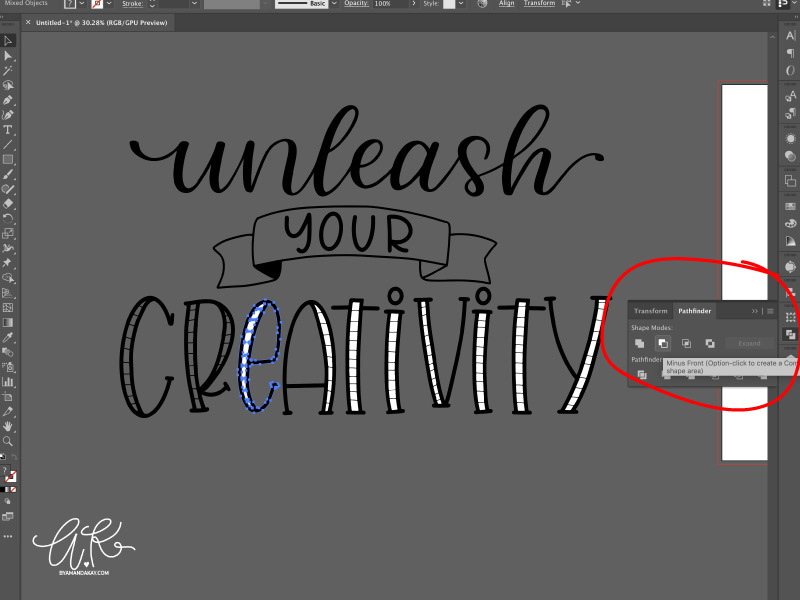 In the “unleash” part, I selected the entire word because it is one element. However, with “creativity” I had to select each letter and use the Minus Front option because each letter is a separate element. 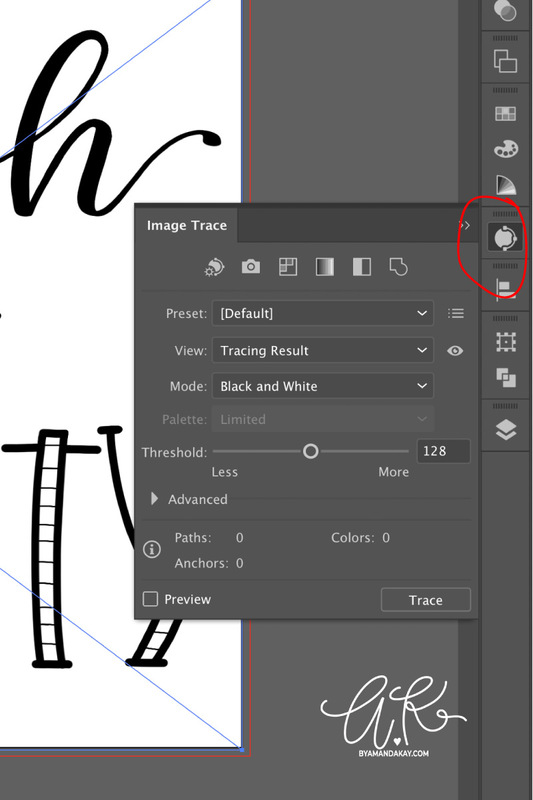 Continue this step until all of the white spaces are gone from your artwork. You should be left with something like the image below. 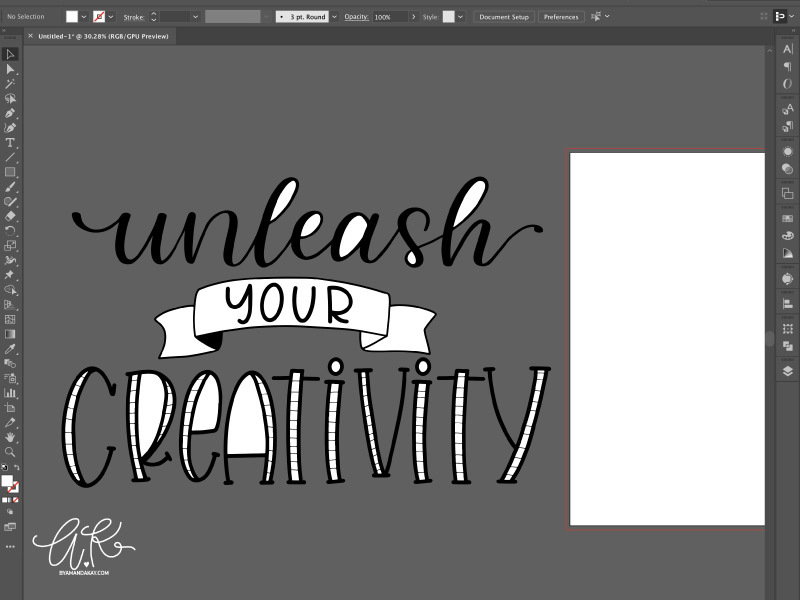 See why I like to move my graphic off of the white artboard? Now you can move the image back onto the artboard for the next steps. 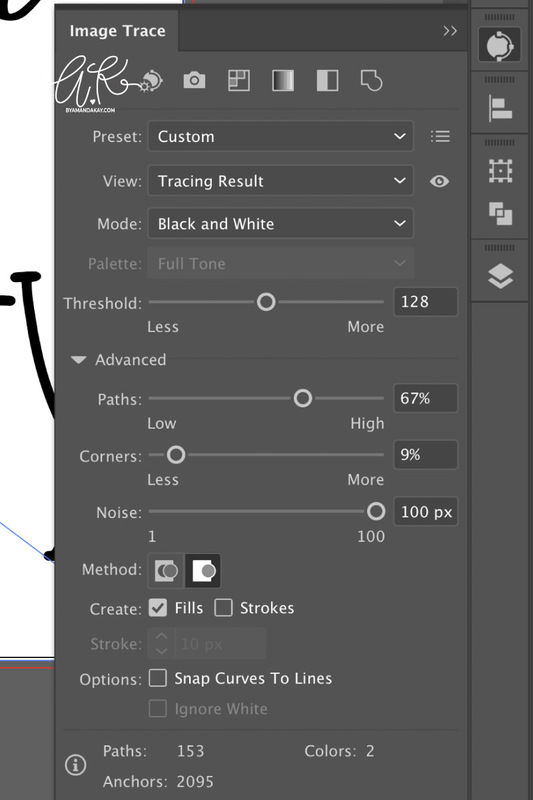 Use the direct selection tool (A) to manipulate any points that may not be smooth. 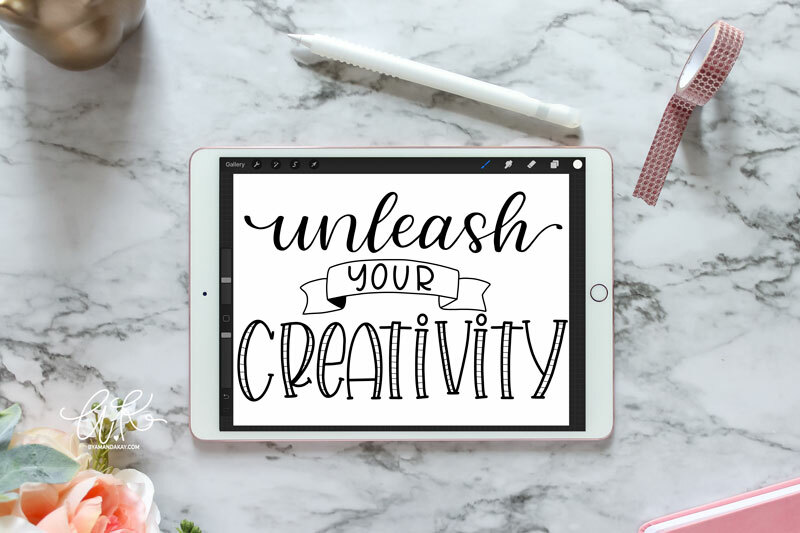 Remember that you will be creating an image file for a Silhouette or Cricut to read. You want the paths to be as smooth as you can make it, otherwise the machine will take forever to read all of those jagged cuts and the final product may not turn out well. See how the points in this E do not match up? You can drag the points and curves to manipulate how it looks to get the paths as smooth as possible. Once all of the paths are smoothed out, select the entire piece and use the Pathfinder tool, Unite option. This will close any open paths (if there are any) and will unify the entire piece. I’ve found on some of my pieces that if I forget this step they may not render well in the Silhouette software. Not always, but sometimes. 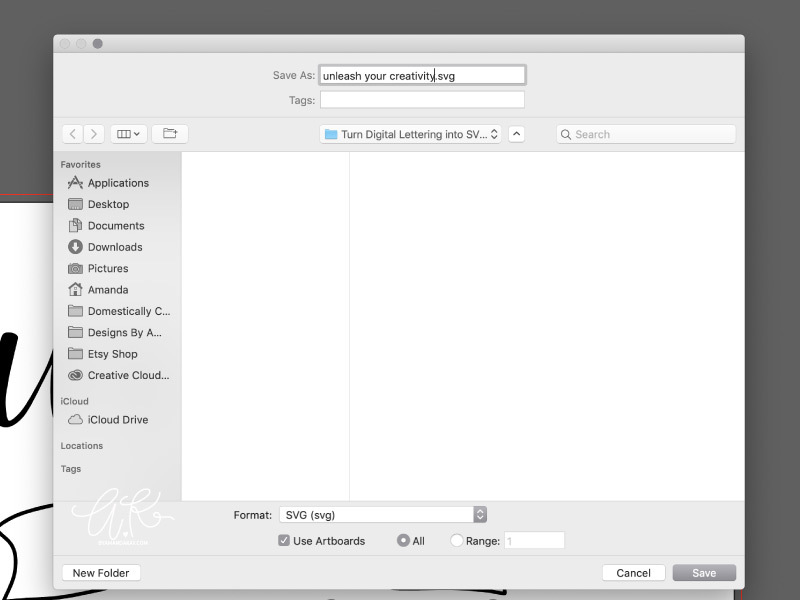 Next, use the Save As command to save your digital lettering as an SVG cut file. Be sure to check the Use Artboards box before saving. There will be a dialog box that pops up, but the standard settings should be sufficient for what we are doing. 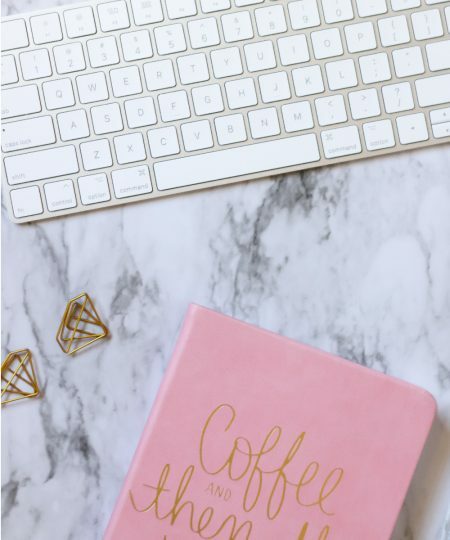 I always like to test my SVG files in both the Silhouette software and in Cricut Design Space, especially those that I am selling in my Etsy Shop. You can download both softwares for free, even if you don’t own a machine. 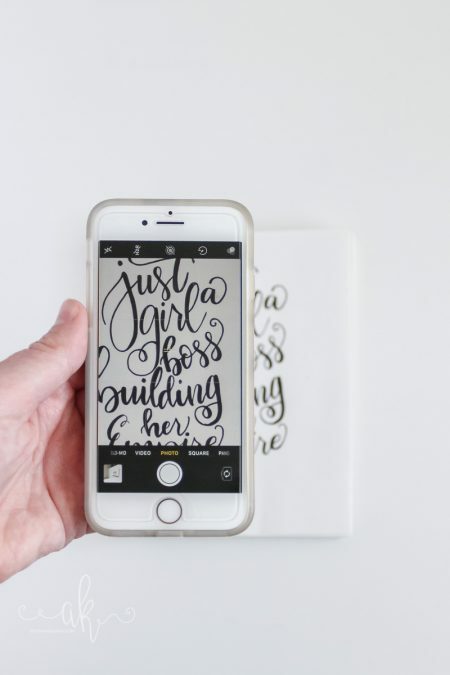 I personally have a Silhouette Cameo and I LOVE it, but I have several friends that own a Cricut. 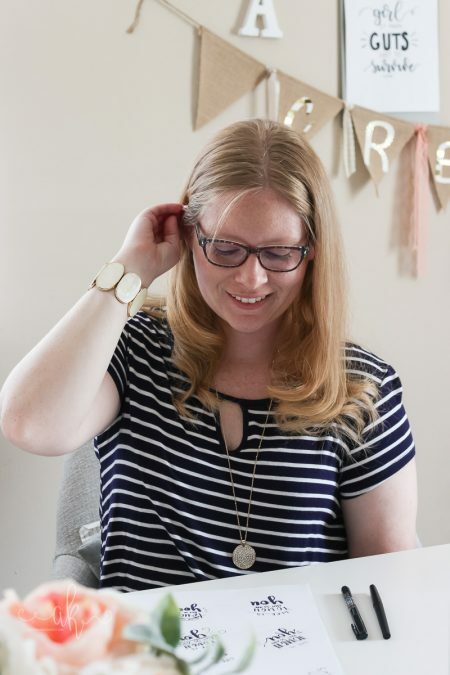 Having the software on my computer to demo things for them and for clients has come in handy! 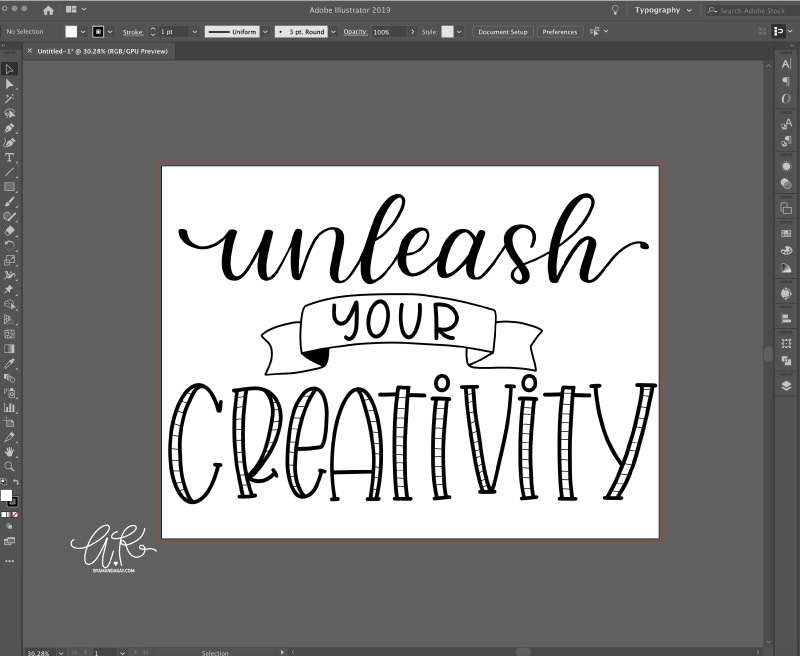 As a bonus for you, I am offering this “Unleash Your Creativity” SVG cut file as a subscriber freebie this month. 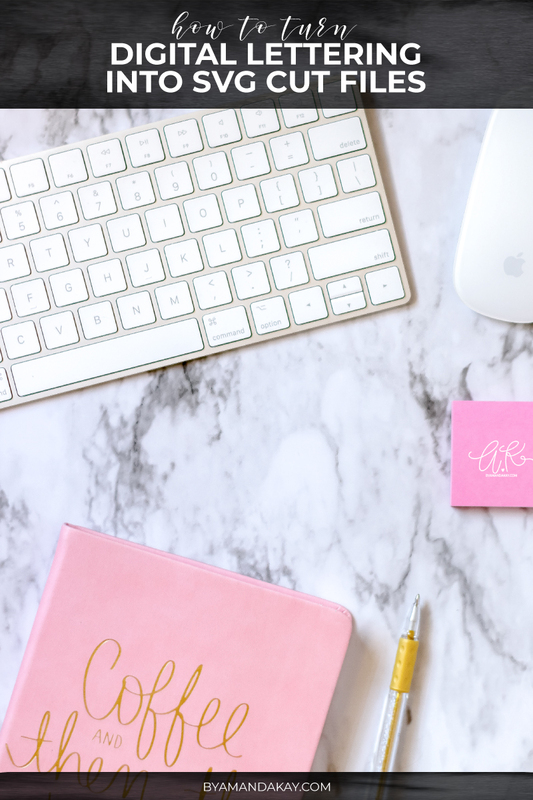 Make sure to sign up for the member only library to download yours and to access the past freebies! You’ll also be signed up for my weekly emails that send out any updates, new freebies and other goodies. Sign up below!